Sometimes it’s a good thing to get back to basics and it started with me today when I decided that I didn’t like the taste of the particular mayonnaise that was in the refrigerator, don’t like the space taker jar either, much more mayo than I use in a months time, used it in a similar dressing and all I could taste was the mayo and it’s additives (I’m afraid to look). I set out for a basic mayonnaise recipe and searched around for a quick version, quick is not always better and in my case easier to ruin, and I did as I followed a “blender” version, it called for one egg yolk too many and my blender didn’t have a low setting, stir was even making a mess and it never thickened. I moved on to Alton Brown’s version with a couple of small changes and it came out perfect. For 4 servings, 2 heads Bibb or Boston lettuce, or iceberg washed, halved, cut side down and set on layers of paper towels, refrigerate until ready to use. Can be prepared hours ahead of time. If making the salad with iceberg, core it and run cold water through the lettuce until the leaves separate slightly, turn into a colander, cored side down, drain and set on a paper towel lined plate to thoroughly chill. Cut lettuce into quarters for serving. Alton suggested a glass bowl, but mine wasn’t large enough to whisk in without leaving a serious mess to clean up so I used a metal bowl. Whisk egg yolk and dry ingredients. 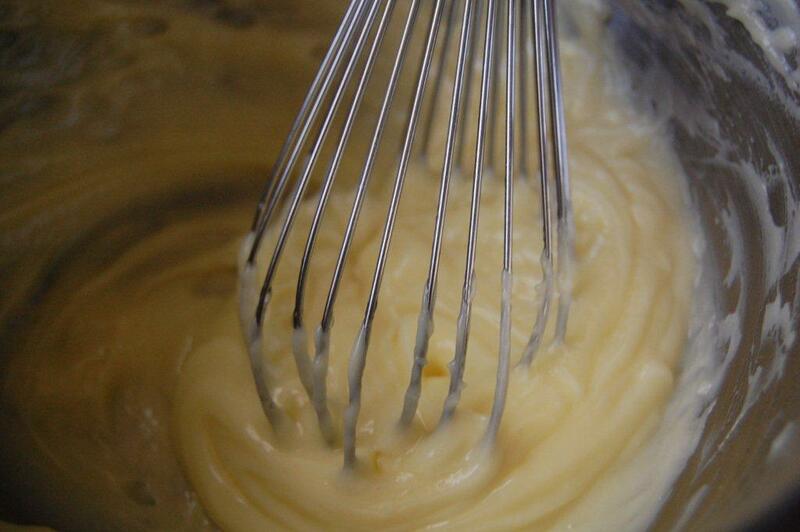 Combine lemon juice and vinegar in a separate bowl then whisk half into the yolk mixture. Start whisking briskly, and then start adding the oil a few drops at a time until the liquid seems to thicken and lighten a bit, (which means you’ve got an emulsion on your hands). Once you reach that point you can relax your arm a little (but just a little) and increase the oil flow to a constant (albeit thin) stream. Once half of the oil is in add the rest of the lemon juice mixture. Whisk until all of the oil is incorporated. Leave at room temperature for 1 to 2 hours then refrigerate for up to 1 week. For the blended dressing, have ready, ¾-1 cup heavy cream, 1 cup mayonnaise, 1 teaspoon kosher salt, ½ teaspoon white pepper, 1+1/2 tablespoons tarragon vinegar, and 3 ounces blue or Roquefort cheese. *1 additional ounce of cheese to crumble over your salad. An additional 1/4 cup of cream if you want a thinner dressing. Pulse cheese chunks in the small bowl of a processor, to break up a bit), toss in the “have ready” ingredients, pulse blend, and thoroughly blend for at least 10 seconds, of course taste the dressing and add additional cream to adjust the thickness of the dressing. Serve over wedges of Bibb lettuce, finally adding additional crumbled cheese over salads. 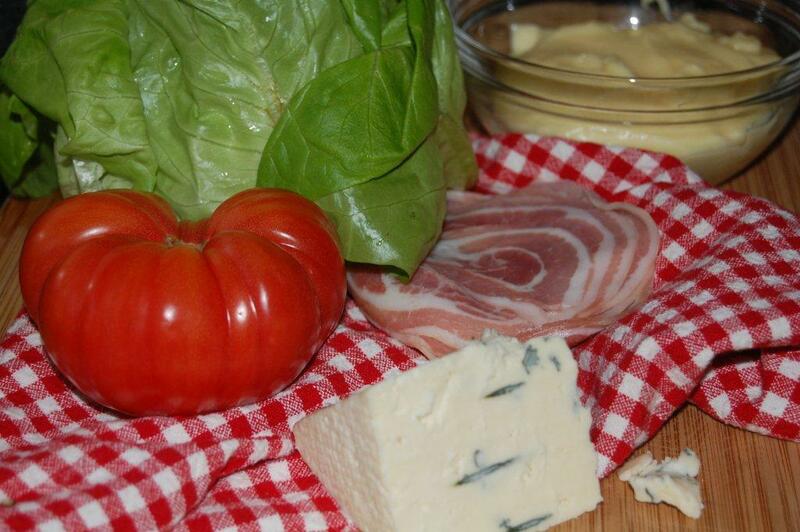 *Additional salad garnishes, diced cucumbers, finely diced red onion, tomato slices or wedges, crispy pancetta, prosciutto or bacon.